Contact Us - Peace River K9 Search and Rescue, Inc. If you wish more information on joining PRSAR please click the button below. One of the greatest advantages for the civilian teams is that they spend more time training in SAR than their Law Enforcement (LE) and Fire Safety (FD) counterparts. Due to budget constraints many LE and Fire/Safety departments cannot go to seminars or seek out the best instructors in SAR as the Civilian teams can. As a result, on many searches, the civilian responders have taken the lead because of their advanced training. On the bad side, we live and die on our credibility and reliability. I cannot tell you all the stories I have heard about the miraculous Bloodhound that tracked the missing girl 7 years after she disappeared or the wondrous Cadaver dog that has a "zillion" finds and never offered a false alert or had a miss! I personally investigated as many of these as I heard and have even paid for demonstration of the dog’s prowess only to be disappointed at the results. I am a person that believes all people start off with the best of intentions, but the pressure to be recognized or take on searches that are beyond a person’s ability often reveals character flaws that sorely need to be addressed. Law Enforcement agencies take a big gamble in using a civilian team and we at PRSAR take that trust very seriously. All of our teams will have their criminal background checks, their log books (PTB) and credentials available for inspection at any time. We constantly train with blind and double blind problems so our searchers are the best we can offer. We train hard to be prepared and we will do an outstanding job on the searches we choose to take on. In the Spring of 2015 the Board of Directors decided to take a different direction with Volunteer Search & Rescue (VSAR) in Florida. For years, many so called SAR teams were really nothing more than glorified dog clubs and the lack of standards and common training caused great safety concerns and made many search operations less effective. During some searches, these volunteer teams performed so badly that areas already searched and thought "cleared" had to be searched again when victims were discovered in these "previously cleared" areas. As a result of this disorganized response, the Governor tasked the State Fire Marshal’s office with organizing, typing and devising a method of alerting typed and verified SAR resources. This task would be given to the Florida Fire Chiefs Association and eventually to the newly formed Florida Association of Search & Rescue (FASAR) who tried to deal with this problem through the Wilderness Search & Rescue (WSAR) group, but that program has failed and Florida is left without standards for performance and safety as well as no typing, validating or alert system for the VSAR at the State level. Search and Rescue will continue to be handled locally through the Law Enforcement Agency having jurisdiction. 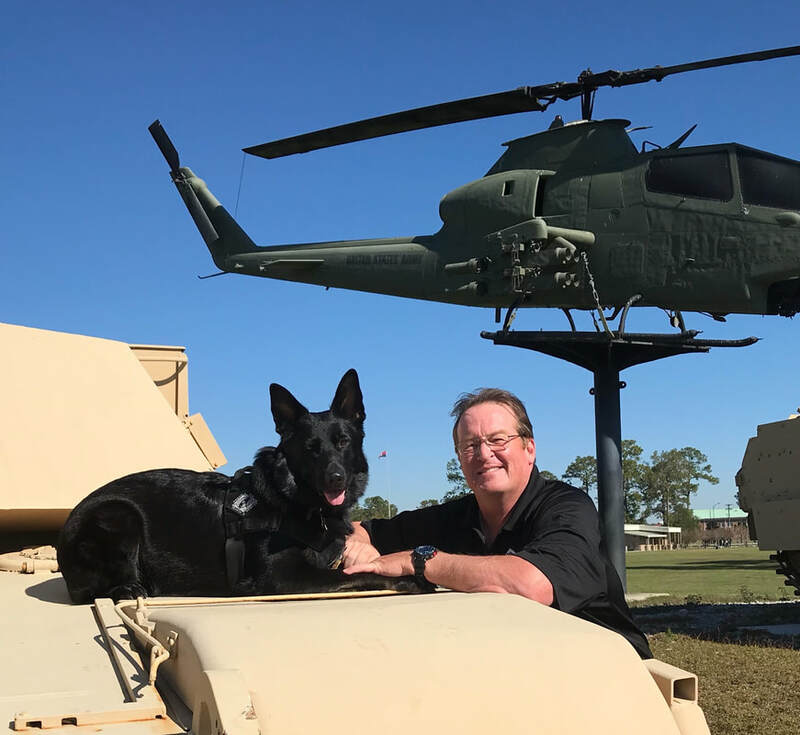 In response to FASAR's failure to set standards, the Peace River K9 Search & Rescue Association took an agency approach rather than the failed team (club) approach of the past. Protocols and evaluation standards were developed based on accepted ASTM standards and enforced through regular training and evaluations by outside evaluators. Peace River K9 volunteers spend a minimum of 16 hours per month training in First Aid, Patient assessment, stabilization and packaging, Advanced Land Navigation/GPS, Search strategies and techniques, Low Angle Technical Rope Rescue and much more. 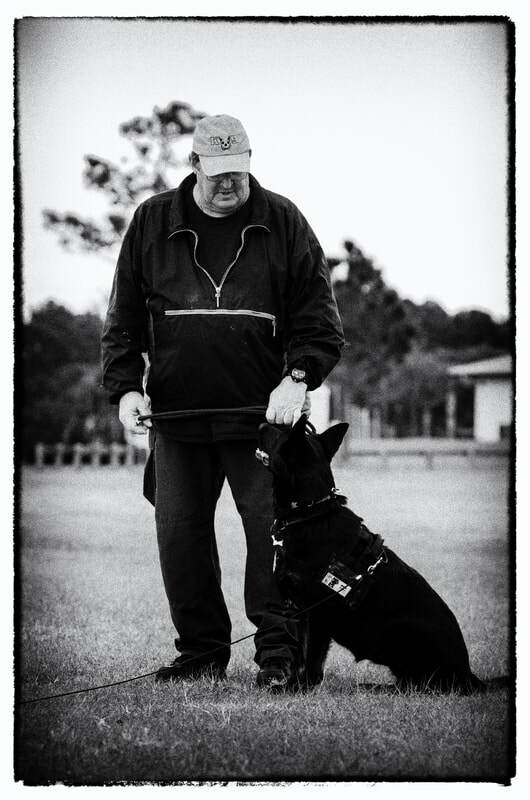 Our K9 teams train a minimum of 16 hours per month and all animal assets are trained with Positive and Humane training methods. We strive hard to stay current with the latest Animal Training methods. Our Search Specialists whether they are Divers, Flankers, Medical Specialist, JEEP or Drone operators, will be highly trained and very competent. PRSAR is set up to be a stand alone unit capable of operations in a disaster environment for 72 hours. We have our own Command & Control, Radios and other equipment making the demands on EOC or Law Enforcement very light. Our Searchers are trained to quickly merge in with existing operations and will get to work, get the job done and done correctly when deployed. All of this is provided to the requesting Agency at no cost! From mid 2016 to 2018 Florida had (and still has) a tremendous shortage of qualified Search & Rescue teams. Peace River K9 Search & Rescue found itself responding to calls from all over the Southeast United States. During this period of time PRSAR volunteers deployed to nearly 100 missions from Federal agencies to local Law Enforcement to private family requests for search assistance. Peace River K9 Search & Rescue Volunteers ask for so little --- but give so much! ​Give us a call today and let us assist you! Peace River K9 Search and Rescue Association, Inc.
A Ten Year Anniversary Tribute Video To Our Volunteers!